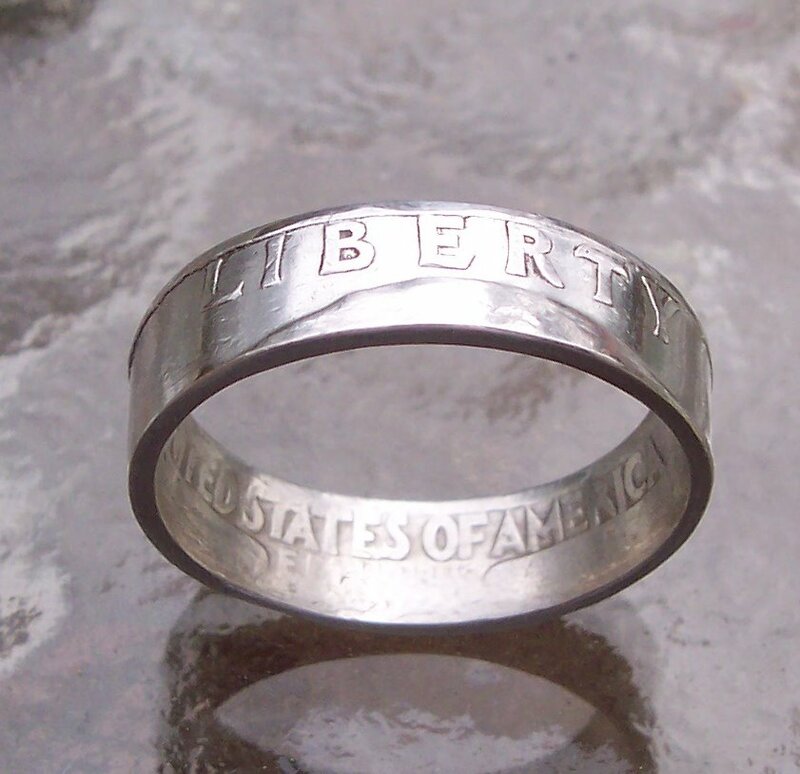 The Washington quarter ring is a great silver ring. It is always shiny if thats what you prefer. There isn't much patina on these Washingtons. 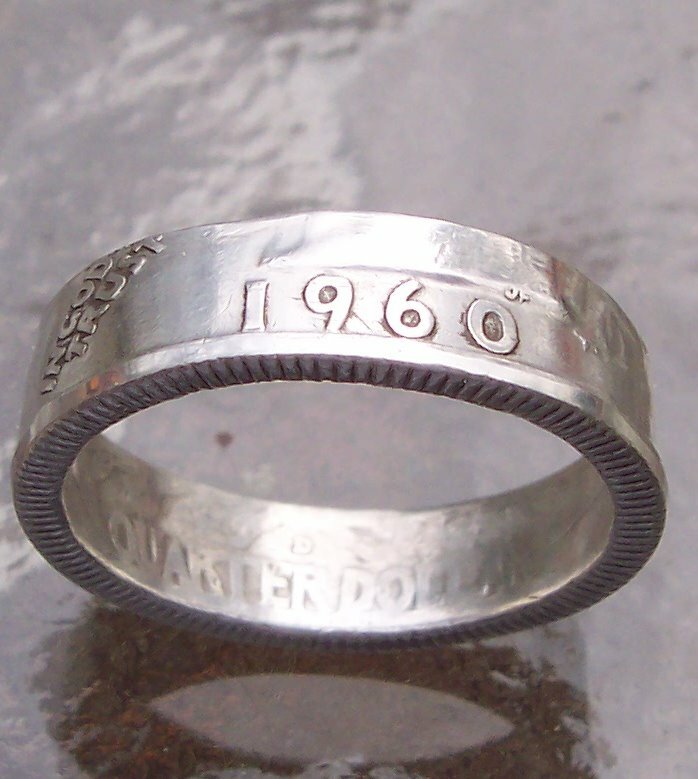 A Washington ring is great if you were born sometime from the late 1930 to 1964. Many people want a Washington quarter with their birthdate on it. Or they buy one for family or friend with their birthdate on it.